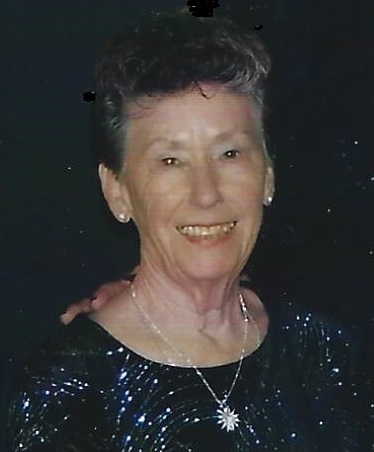 Patricia L. “Pat” Baer, 90, of Smithsburg, MD, passed away Sunday, January 13, 2019 at Kline Hospice House of Mt. Airy, MD. Born Monday, October 22, 1928 in Paw Paw, WV, she was the daughter of the late Grafton and Estelle (Stull) Yost. She was preceded in death by her husband, Harold R. Baer in 1990. She was a member of Trinity Lutheran Church of Smithsburg, Sunshine Leisure Club of Smithsburg and Elks Lodge #378 Ladies Axillary. She retired from Baltimore County Government. Pat is survived by Daughters, Joan Shaw and husband Stephen and Jill Torrini, grandchildren, Ray, Owen, Tommy Lee, Paul, Valerie and Stephanie and great-grandchildren, Ethan and Emma. There will be no viewing. Services will be held Thursday, January 17, 2019 at 10:30am at Trinity Lutheran Church, Smithsburg, MD, with Pastor Virgil Cain officiating. Graveside services will be held Tuesday, January 29, 2019 at 1:00pm at Garrison Forest Veterans Cemetery, Owings Mills, MD. In lieu of flowers, memorial donations may be made in memory of Patricia Baer to Trinity Lutheran Church, 16 N. Main St. P.O. Box 217, Smithsburg, MD, 21783. Arrangements were made by J.L. Davis Funeral Home, Smithsburg, MD, and online condolences may be offered at, www.jldavisfh.com.